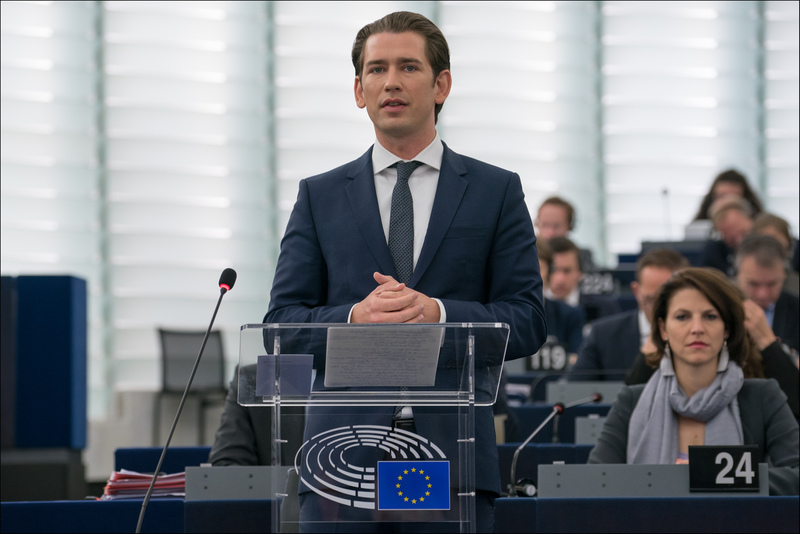 Borders, migration, the MFF, and enlargement were key issues in a debate with Austria’s Chancellor Sebastian Kurz on the EU work programme for the rest of 2018. During its six-month presidency in the Council, the Austrian government intends primarily to promote stronger protection of the EU's external borders, in order to safeguard open internal borders in the long term, boost competitiveness, promote the development of "high-tech made in Europe" and pursue an active neighborhood policy, including integrating the Western Balkan states into the European Union, in the long term. "We want to build bridges, in the interests of Europeans and of our European Union," said Mr Kurz. EU Commission President Jean-Claude Juncker and the leaders of the major political groups urged Mr Kurz to pursue work on asylum reform, the euro area and the creation of a European monetary fund. Priority should also be given to discussing proposals for the EU's new long-term financial framework in the Council, in order to reach an agreement with Parliament before the EU elections in May 2019, they added.